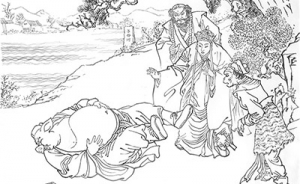 One of China’s best-known folktales, the story of Liang and Zhu can be traced back a thousand years and more. A humble young scholar—the kindhearted and unassuming Liang Shanbo—and an affluent family’s daughter—the winsome and determined Zhu Yingtai—these are the two kindred spirits tied together by this Eastern Jin Dynasty (317–420 C.E.) tale. 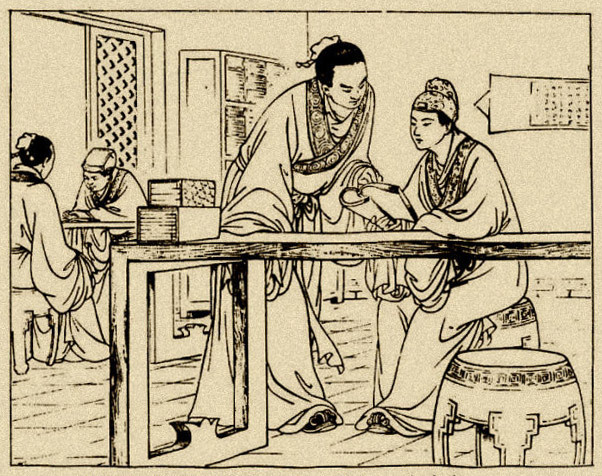 In ancient China, men and women were segregated and observed the conventions that society had for them. And when the time came, marriage was arranged by their parents, who considered the match from many angles and called upon an experienced matchmaker to help. In this story, the wealthy Zhu family is of such stock. The parents have primed their daughter into the perfect debutante, and are eager to find her a wonderful match. Daughter Yingtai has grown into a beautiful young lady, yet along with her shining eyes and delicate smile, she has an intellectual mind and a resolute heart. Embroidery and such are nice but Yingtai is happiest with her nose in a bamboo scroll. One spring day, with the magnificent Zhu courtyard in full blossom and butterflies fluttering from bloom to bloom, Yingtai bumps into her venerable parents and decides it’s as good a time as any to present her case. Yingtai mopes while her cluster of handmaids busy about her with dexterous hands. And just in time, too, because the parents’ guest has arrived—a professional matchmaker, the best and most experienced in the land. Yingtai looks past the eccentric lady and is shocked at whom she has brought—the eligible bachelor is possibly the most ludicrous fellow she has ever laid eyes on. No need to make an assessment, Yingtai immediately gives the lad a zero for brains, brawn, and looks. “School vs. this guy?” Yingtai thought, “You must be kidding me!” And so with a little ruse that involves feigning sudden illness, she stymies their plan, sending the matchmaker and poor chump away. Even more determined to go to school, Yingtai disguises herself as a young man and sneaks away at night. Yet the journey is long, and, luckily, she runs into a scholar heading for the same academy—a kind fellow who offers himself as her travel companion. Though the chap doesn't see through Yingtai's disguise, and thinks he's escorting just another new boy to school. At the academy, Yingtai and her new friend—Liang Shanbo—become desk mates and even dorm mates. Unlike Yingtai, Liang Shanbo isn’t from a very wealthy family. Yet, as their bond grows, the two become sworn “brothers.” And for three years, they studied hard together. All the while, Yingtai was careful never to reveal her true identity, and Liang Shanbo did not discover her secret. One day, Father Zhu, who finally worked out what might have happened, finds his way to the academy, calling for his daughter’s return. The matchmaker has found several more suitable bachelors, and it was time to move forward. Yingtai has no choice but to hurry home. Still keeping her secret to herself, she implores Liang Shanbo to come visit her, and only then does Liang get an inkling that something may be up. Liang arrives at the Zhu household in the midst of bustling, festive preparations. 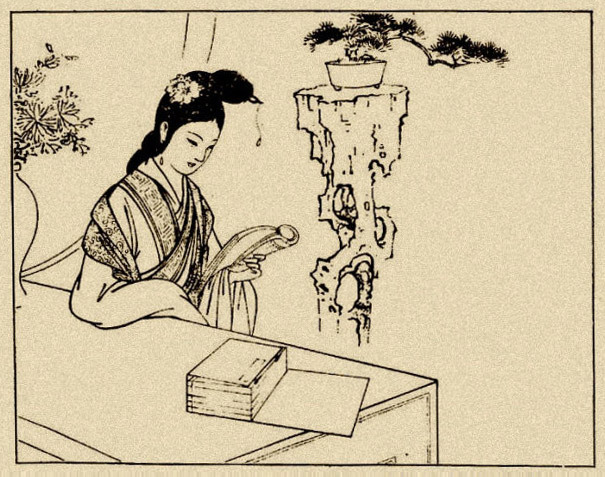 He informs the doorkeeper that he’s calling on his classmate, the young Master Zhu, but is told that there is only a young Miss Zhu at the residence. 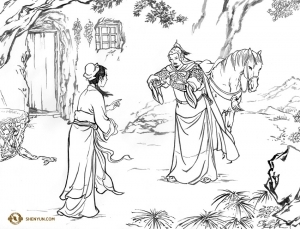 When Yingtai makes her appearance, she is delighted to see Liang and brushes aside the pack of contending bachelors. Liang, on the other hand, is bewildered to see his best bud in female dress. But then everything begins to click—all the little quirks and incidents from the past three years. How eye-opening! Shocked at his own cluelessness and speechless with joy, Liang now sees his pal in a whole new light. 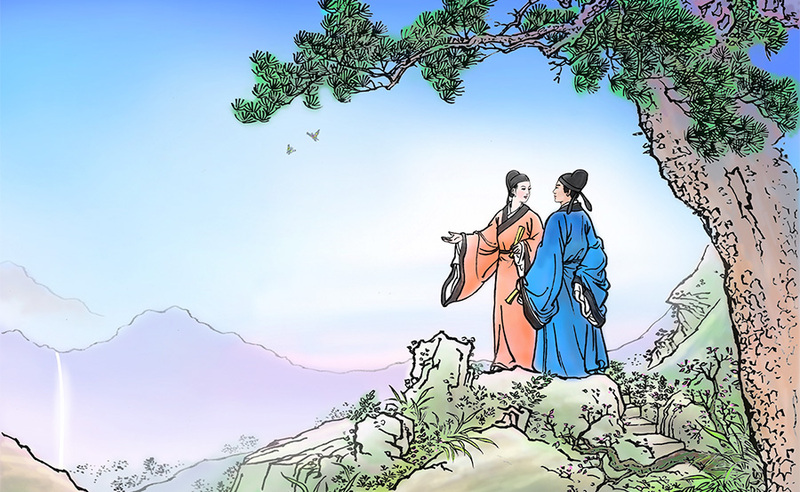 The Shen Yun 2019 dance The Unexpected Companion is inspired by one of China’s Four Great Folktales: The Butterfly Lovers or Liang Shanbo and Zhu Yingtai.